In order to add this online industry dictionary tool to your web site and give your visitors the way to lookup industry terms for more than 11,000 terms, acronyms, and definitions, just copy the HTML code below and put it into your web page where you want to provide access to your dictionary. Tehrani’s IP Telephony Dictionary provides definitions and illustrations covering the latest voice over data and Internet telephone technologies and provides the understanding needed to communicate with others in the telecommunications industry. Many changes continue to occur in voice and data networks and this book is the perfect solution for those involved or interested in the operation of communication networks and service providers. This reference book explains the latest telecommunication technologies, assists with the explanation of technologies by using many diagrams and pictures. It is a great reference tool that allows people to effectively communicate with other people involved in the voice over data (VoIP) communications industry. To ensure this dictionary contains the latest definitions, 15 experts were used from different sectors of the IP Telephony industry to add and edit definitions. Many of the definitions were created using our technical books that have been edited by hundreds of industry reviewers. Diagrams and pictures in the dictionary assist the understanding of technical terms by providing functional and operational views. Internet Telephony Service Providers (ITSPs) are companies that provide telephone service using the Internet. ITSPs setup and manage calls between Internet telephones and other telephone type devices. An ITSP coordinates Internet telephone devices so they can use the Internet as a connection path between other telephones. 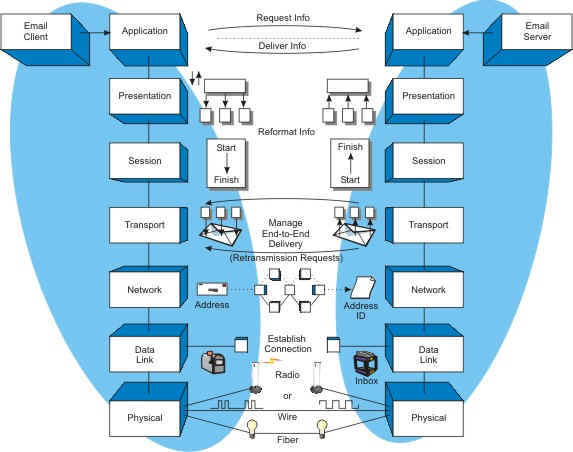 ITSPs are commonly used to connect Internet telephones or PC telephones to telephones that are connected to the public telephone network. This is accomplished by using gateways. Gateways convert packets of audio data from the Internet into standard telephone signals. A private local telephone system that uses Internet protocol (IP) to provide telephone service within a building or group of buildings in a small geographic area. IPBX systems are often local area network (LAN) systems that interconnect IP telephones. IPBX systems use a IP telephone server to provide for call processing functions and to control gateways access that allows the IPBX to communicate with the public switched telephone network and other IPBX's that are part of its network. IPBX systems can provide advanced call processing features such as speed dialing, call transfer, and voice mail along with integrating computer telephony applications. Some of the IPBX standards include H.323, MGCP, MEGACO, and SIP. IP PBX represents the evolution of enterprise telephony from circuit to packet. Traditional PBX systems are voice-based, whereas their successor is designed for converged applications. IP PBX supports both voice and data, and potentially a richer feature set. Current IP PBX offerings vary in their range of features and network configurations, but offer clear advantages over TDM-based PBX, mainly in terms of reduce Opex (operating expenses). This diagram shows the seven layers of the open systems interconnection (OSI) model and how they interact with each other. This example shows how an email application can use the OSI model to allow communication between an email client (user that is checking email) to an email server (computer providing the email information) independent of who controls each layer, provided the interfaces between each layer are specifically defined. This diagram shows that the application layer is the interface to the user that permits the user to request delivery of their email. The application layer presents this request to the transport layer as a data file. The data file is divided up into smaller blocks of data and presented to the session layer. The session layer determines a new session is required (communication link) between the client and the server and this session information is passed on to the transport layer that will oversee the transfer of data during the session. The transport layer sends the destination address of the email server to the network layer. 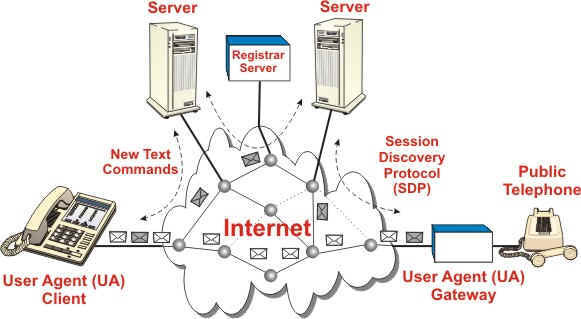 The network layer sends this information to the data link layer that establishes and maintains a data link connection to the network. The data link layer sends information to the physical layer that converts to data signals to either radio, electrical, or optical formats suitable for transmission.